Elke vrijdagavond live muziek in Club Dauphine! Tijdens de Friday Night Live treden er altijd één of twee artiesten van naam op en laten een aantal nieuwe talenten van zich horen. In de club kan je dineren aan een tafeltje voor het podium of met een drankje in de hand genieten van een hele avond live muziek. Waan jezelf even in een New Yorkse nachtclub waar je ongetwijfeld muzikaal verrast wordt. 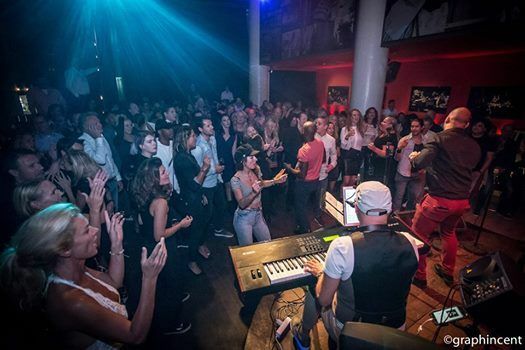 Club Dauphine is a live music night in Amsterdam with a New York touch. 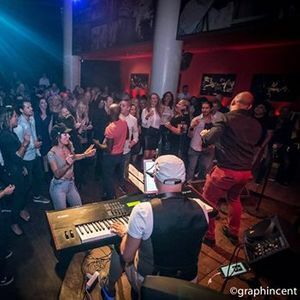 Each Friday fantastic artists are invited to sing with the regular Club Dauphine band in every imaginable style: pop, funk, soul, rock, jazz, country, hiphop, latin, blues, reggae or singer-songwriter. Amazing singers and unexpected musical surprises are the pride of Club Dauphine. Candy Dulfer is the regular saxophone player. In its 10 years of existence Club Dauphine has become the place where new talents are given a chance to perform, often together with famous, experienced artists that love to play in the Club too. Over a thousand solo artists have performed on stage in the Club from 2009 untill now. People dine at tables in front of the stage or hang at the bar. After two music sets the tables will be removed, the music tempo in the third set speeds up and it's hard to resist not to dance.